The undergraduate program at WZU Law is designed for over international students with interests in financial, business, and commercial law in an international context. The program provides students with an opportunity to learn about and reflect upon international economic law, and to prepare for further scholarship in international economic law or for work in the international business area. Through intensive coursework, students develop an intellectual toolbox for future careers in an age of economic globalization. LLB at WZU Law is a four-year degree program. In the first two years (Freshman), we ensure that the balance is appropriately divided between Chinese language and the practical aspects of law, which is achieved through the unique Chinese language courses and Chinese culture courses including advanced Chinese, Chinese Writing, Chinese Viewing, Listening & Speaking, Chinese Culture and Practice. In the Sophister years (third and fourth years), you can focus on International Economic Law. 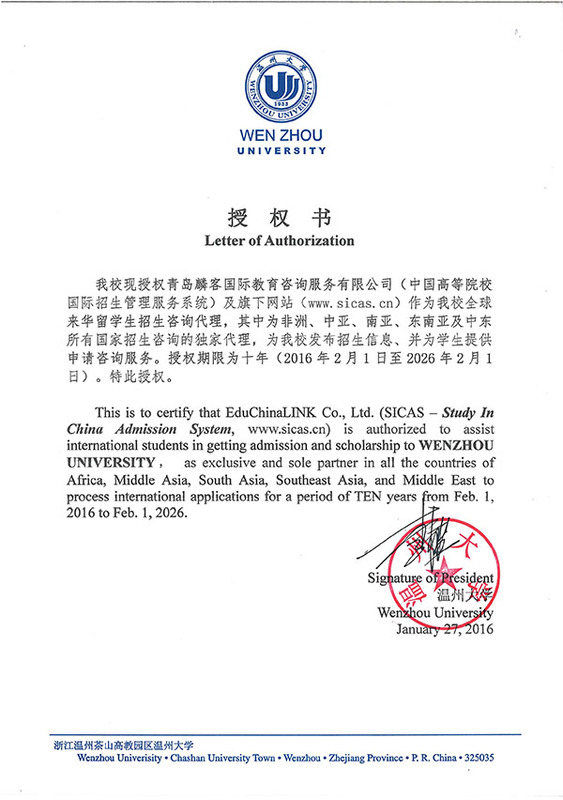 This affords graduates of Law from Wenzhou University with the advantage of early specialization in their academic career. Chinese Language Modules: Comprehensive Chinese; Chinese Listening and Speaking; Advanced Chinese; Chinese Writing; HSK Training. Legal Basis Modules: Legal English; Principles of Law etc. International Economic Law Modules: Chinese Business Law; International Business Transaction; International Investment law & Arbitration; International Financial Law; International Trade and Human Rights Law etc. Application Fee: RMB 800/USD 120.